Aaron and I have now owned our sweet first home for almost two years. We aren't real flashy people. We like to have an inviting place where we are comfortable having lots of people over, but we aren't willing to go broke just for aesthetics. Over the past few years, we have figured out several things that have helped us to throw extra money at our principal each month, while also paying off any student loans we had in our name. 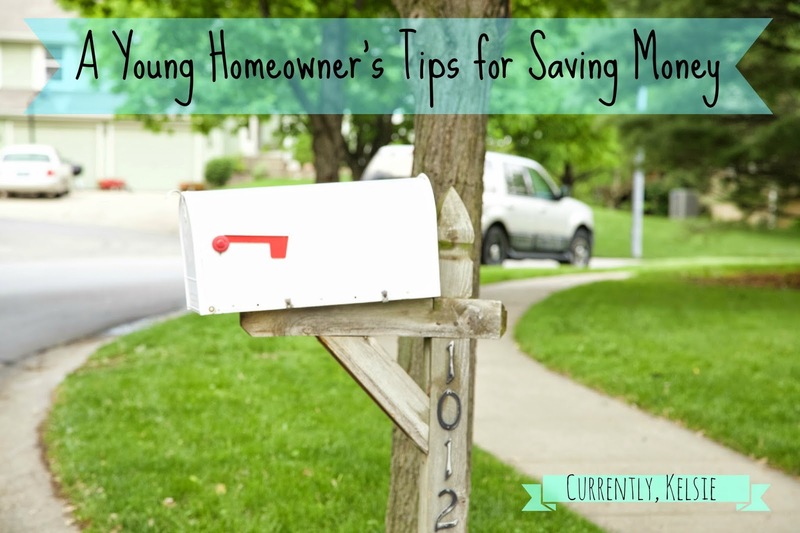 Here are a few of our favorite secrets to living well and saving money on a young homeowner's budget. We don't have cable. We pay for internet, but we have never spent a dime on cable TV. Netflix is amazing, and only $8 a month. With all of the add ons and extra fees that cable companies offer and slap on your bill these days, cable can be over $100 a month. Saying no for the past two years has saved us around $2,400. That's more than enough to pay for a nice cruise, a deck upgrade, or an extra payment on the good ole mortgage. Aaron and I were blessed to have several pieces of furniture given to us when we first moved into our house. Our dining room and kitchen tables, a sectional with a pull-out couch, and a bed set were all given to us by those who were happy to be rid of them. And we actually had a decent amount of furniture to furnish our four bedroom home. If you aren't blessed with as many hand-me-downs, not to worry. There are several opportunities for you to find these things: garage sales, antique markets, and thrift stores. Someone's old piece could be a great addition to your place, and you can always give it a little TLC or paint upgrade to make it really pop. Then someday, you can start to buy some new things for yourself little by little, without breaking the bank. You can see how we put some of these pieces to work in our own home by checking out this post. 3. If at all possible, DO IT YOURSELF. Again, I'm blessed in this category. Aaron is amazingly handy. I mean, the guy works on cars and re-built part of our fence last year. Not to mention all the little things he can do with electrical and toilet issues. If you're not blessed with an Eagle Scout hubby, not to worry. Thanks to the internet, there are several little things you can figure out how to do or find on your own that can save you loads of money. If there's a job that's really meant to be left to the professionals, ask around, use your connections, or find someone local as much as possible. They are likely going to take good care of you for a lower price, and may even give discounts to repeat customers. One of the biggest changes in homeownership is having a lot more space. This is awesome, but you also have to heat and cool that space accordingly, which can get pricey when you've got numerous floors and vaulted ceilings like we do. A few months ago, Aaron and I got a new thermostat put in for free by KCPL. The thermostat is not only pre-set, but can be adjusted instantly through an App on my phone. We tell it when we are coming home, and when we are gone, and the temperature adjusts to keep our home at the most cost efficient temperature. Our bills have gone way down. Washing your clothes in cold water will save you money. It takes less energy for the machine to wash things in cold, and thus your bill will be much lower. Seriously, I'm not making this stuff up. Check it out: http://energy.gov/energysaver/articles/tips-laundry. It's fine to do the occasional hot or warm load of sheets or towels, but otherwise, stick to cold. You could save over $200 a year. 6. Shop clearance, embrace imperfection, and be patient. We scored big at a 70% off sale when our local K-Mart went out of business. We got a huge steal on a nice patio set for our deck, an outdoor bar set, and a great grill. You don't have to do this all at once though (we just couldn't pass up the deals). Be patient. Don't worry if some rooms sit empty. Add a piece or two at a time to your home. Be on the lookout for clearance markdowns- they could be discounted because of a minimal scratch or dent that you really could care less about. I love love love shopping thrifty, and it makes it even more fun when you find something you love at a great price. Be patient, be choosy, and don't go over the amount you budgeted for a certain item. Odds are great that it will go on sale, especially if it's a seasonal item. At the end of the day, owning a home is a huge commitment, but it's so much fun. By just following a few simple steps, you can save a lot of money, which then allows you to splurge on that vacation, that new piece of furniture, or that unexpected maintenance necessity (which likely WILL happen). A home is an amazing investment and a great place to live a life and grow a family. We love our home, and all of the people who bring life to it. What's your favorite thrifty homeowner tip? How do you find ways to cut the costs of homeownership? Let me know on the contact form, or comment below! Like what you're reading? Click here to subscribe to the Currently, Kelsie newsletter. I'll keep you up to date on recent posts, and provide some extra bonus tips on living well. Happy home ownership! I'm linking up with A Fresh Start, The Shabby Nest and Chic on a Shoestring. Check them out! Love this! Especially that tip about washing stuff on cold. I'd never thought of that before! Jordan and I are all about clearance stuff too. We are big fans of shopping for "floor models" of furniture with slight scratches or damage. We got our dining room table/chairs/bench for about 60% off because it had a scratch! This is great for owners and renters alike! We hope to own a home someday, but for now, renting and saving diligently. We definitely emphasize #6...when we first got married, we bought a bunch of stuff that we realized we didn't like (but thought we needed to have to furnish our first rental). So now we wait it out...we finally found a nice, inexpensive table to replace the folding table we've been using for the last year! And that's awesome that your husband is handy! You're right that there's so much information on the internet to make up for our lack expertise, too. Thanks for posting! Thanks for the comment, Alexandra! I totally agree- some of these things could definitely apply to renters too. We only rented for a few months, but there is definitely a push to have things all furnished at once. But in reality, it's way more fun to go a little bit at a time, to make sure you REALLY like what you get :) It's kind of like planning a wedding, only there's no real deadline. Sounds like you've got the right idea! Another great post, as always Kelsie! I love your blog! We are currently talking about saving up for a house so knowing these tips will be very helpful in saving once we do have one! Also the app for your phone to control the thermosat sounds so cool, I will have to check that out for sure! Thanks for joining the Link-It To Me Link Up again this week, can't wait to see what you have for us next week! Thanks so much Chantal! I am loving the Link-It To Me Link Up. Being a homeowner is the best, you just have to make sure that you are really making your money work for you (or saving it for the fun things you want to do!). Best of luck saving up- we found that we were actually paying less for our house payment than we were to rent! Thanks for reading and commenting. See you soon! Can you imagine? Saving enough for a cruise in just two years, just by cutting cable. Good example. Sometimes people wonder why they would bother to save but then, when you point out the other things you could be dong with that money, they understand why budgeting and making use of any opportunity to save allows you to enjoy the things you really want. Yes, I'm all about traveling, and doing these small little things can make a huge difference. Budgeting is huge, and we have been super blessed by being smart with our money. Thanks for stopping by! Both in America and in Malaysia, we've been blessed with so many handmedowns that we've bought very little furniture at all! Waiting, and being willing to work with what's given to you instead of trying to make everything perfect can definitely take a load off the budget! That is so awesome! It's for sure helpful! 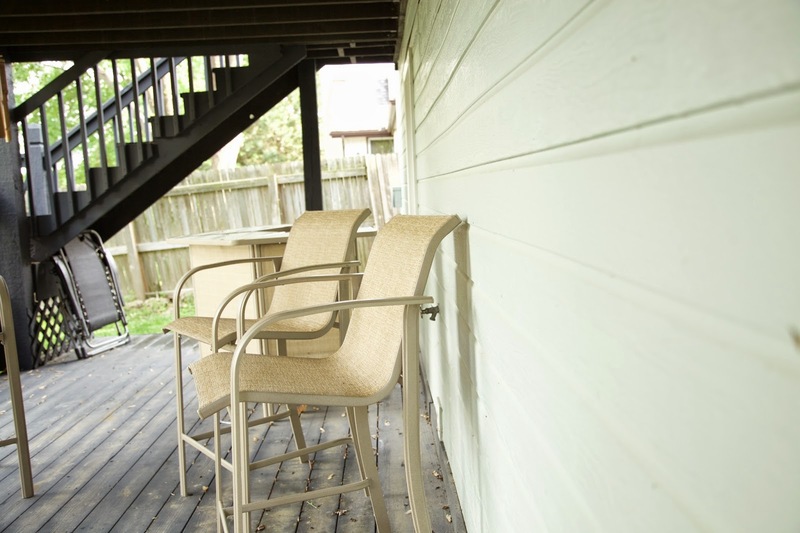 From a fellow homeowner, I cansay that these are great tips! We didn't stretch our budget when we bought because we wanted to have money left for furniture and also because we wanted to make sure that we could take trips, go out once in a while, etc. I thinnk my biggest tip would be to cut on everything that is not necessary to you (like cable). It makes a big difference! Great tips. 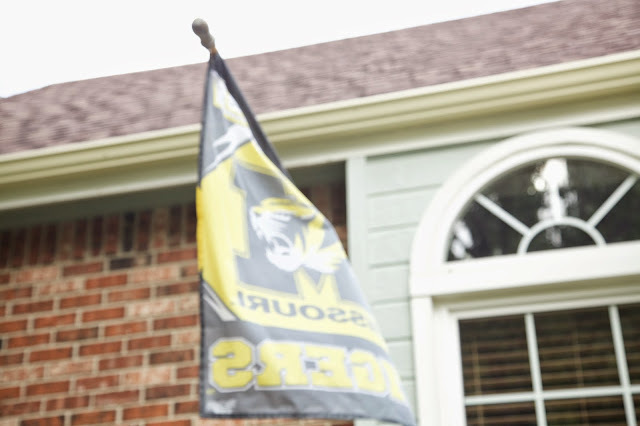 And nice Mizzou flag. ;) My husband went there for his last degree. I'm really glad my dad taught me how to do a lot of home improvement projects myself, it really does help. Thanks so much, Lisa! We love Mizzou. Doing work yourself can definitely be a huge help! I resisted my temptation to buy a new car and ended up saving money for my trip to vegas. thanks for sharing these great money saving tips. Nice! Thanks so much for checking them out! thank you a lot for your tips. I think i could save some money for my children's education. This point: "3. If at all possible, DO IT YOURSELF." i did pretty well.